SEO always helps to generate more traffic on your website. We optimize your website to work better on Google search engine page on modern languages. We analyze the type of traffic reaching our customer's website, which is viewed by the competitors. It requires a lot of analysis, researching content options and even inspecting where the website stands in comparison with the competitors. With prolific & engaging content, we can take care of your Digital Marketing requirements, which will allow you time to enjoy running your business & expand it. In the same way, if you're willing to create a unique responsive website to rank on Search Engines, you need to update it constantly to make it more user-friendly. 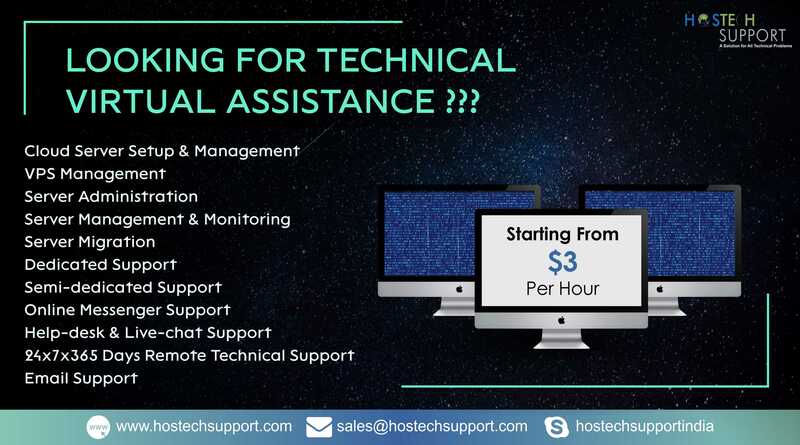 HostechSupport promises to optimize your websites qualitatively, which not only helps in increasing your SEO rankings but also the overall website visibility. Our dedicated SEO team works upon the latest trends & techniques keeping you away from problems crushing the competition. We evaluate SEO processes like Link building, Website submission, Page optimization, Keyword analysis, which help to weigh up the rivalry to show what exactly you need to do to improve rankings. At HostechSupport, with real-time reporting app, you can track your progress with updates & recommend for next steps. From keyword research & technical issues to content creation, we can design a powerful strategy for you & implement it accordingly.